Beautiful maintenance free villa in the gated community of Salem Square! This 2 bedroom, 2 bathroom villa with an office has a unique location across from a large pond, an open side yard and conservation in the back. The over-sized windows at the rear and side of the property provide panoramic tranquil views of nature and wildlife. All common and wet areas have low maintenance tile floors with a custom pattern in the kitchen. The majority of the house, including all bedrooms, kitchen and living room have beautiful plantation shutters that provide privacy while keeping the interior cool by diffusing direct sunlight. The interior has a courtyard with brick pavers and both water and power- perfect for the gardener in the family. The kitchen is across from the courtyard and features a closet pantry, over-sized island and a lighted, hanging pot rack. The living room is aesthetically appealing with volume ceilings and a wood burning fireplace that is centrally located. There is a community pool, playgrounds, tennis and basketball courts, walking trails, beautiful lakes and plenty nature to enjoy. 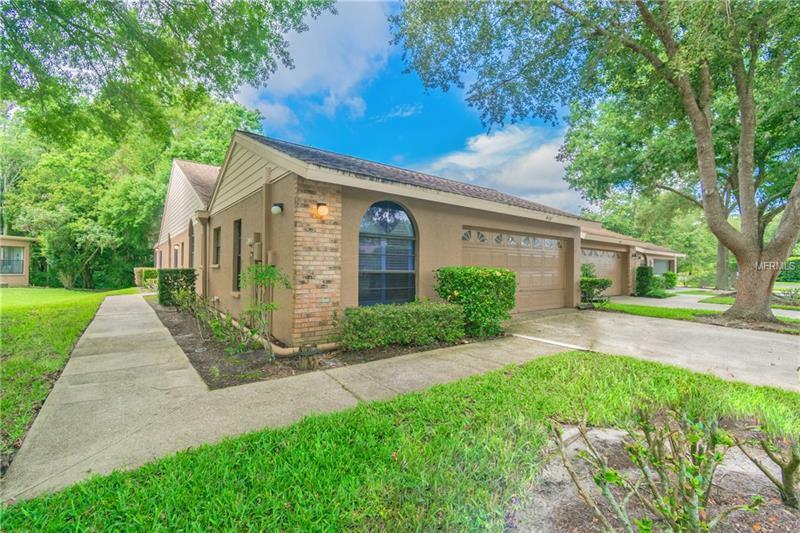 Great Palm Harbor location with easy access to shopping, beaches, dining, entertainment and more, including a Starbucks literally minutes away. To help visualize this home’s floorplan and to highlight its potential, virtual furnishings may have been added to photos found in this listing.